Phase Creative works with small business professionals to provide online solutions which captivate their visitors and convert leads into clients. For the average business, setting up a website can be overwhelming. I simplify this process for my clients by giving valuable guidance and helping them make good decisions which align with their business objectives. I aim provide custom designed websites that perfectly integrate their brand personality, present a seamless client experience and ultimately support their core business goals. The speed at which technology evolves is overwhelming and with the added influence of social media, it’s harder than ever to persuade your clients they should buy with you. Your clients are online and they’re looking for you. Not only to you need to ‘be found, you also need to engage your audience, indulge their curiosity and eliminate their hesitations. And you’ve only got a few precious seconds to do this. Making a decision on where to get started with your online presence is not easy. Type ‘website designer’ into any search engine and you’ll immediately be ambushed by dozens of options. And let’s face it, when the price point starts at Free, it’s really hard to compare what you get for your investment, and whether or not that product is actually going to deliver you results. I start all my projects with a worksheet and recommend clients articulate what they need to offer their clients to get a sale – because they know their clients and their behaviours best. Our process together begins with a session to identify which of these items or processes can actually be initiated or even achieved via a website solution. Whether it’s building a database of clients to market to, replacing a manual booking system with an online one, or simply providing your clients with all the information they need about a product to eliminate redundant phone calls and giving your business back some time, Phase Creative focuses on solutions which allow your website to become a resource to your clients and an integral part of your internal processes. Phase Creative understands that small business need to be conservative with their startup costs. I’ll take you through the options available to your budget and help you get a greater understanding of what return you can expect for your investment. I’ll add value to your business by providing you with a tailored website solution offering complete transparency with what you get and when you can expect to see results. If you’re interested in a website that connects you with your clients and helps your business grow, please take the time to fill out the Phase Creative website worksheet and we’ll be in touch shortly to discuss your project in depth and determine your pathway to online success. I live in Sydney’s Inner West with my young son. I work out of the Commune in Newtown (www.thecommune.co) in and enjoy collaborating and co-working with fellow creatives. 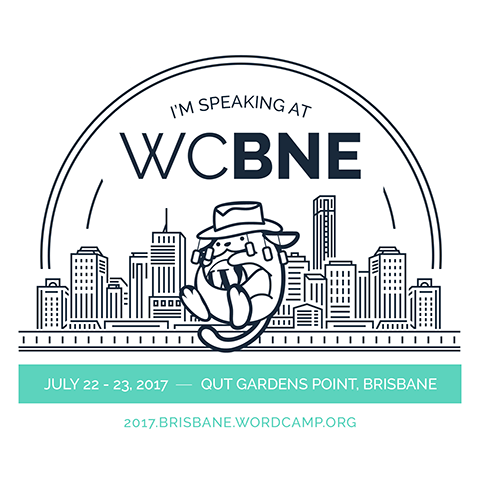 I regularly attend and occasionally present at WordPress Meetups and spoke at WordCamp Sydney this year (2014). Phase Creative has grown with me over the years. Originally offering just graphic and print design services back in 2004, I’ve grown to love the digital space and my focus on web design was the natural progression. My experience includes website design, corporate documentation, traditional & digital advertising, mobile & apps, user interface/experience, logo and branding, large format posters, livery and way finding systems. Custom WordPress theme design on the Genesis Framework, WordPress website design, customisation & production, WordPress tuition, WordPress solutions consulting, digital design, print design & large document layout, content production, user interface & experience, logos & corporate identity (inc style guides), social media & blog design, print ads and small business design requirements. No, thank you, I get enough email!